The F-16 Fighting Falcon is arguably America's most successful fighter aircraft of the modern era. It was conceptualized in the late sixties as a light weight, super-sonic, air superiority day fighter with a high thrust to weight ratio, good range and good agility, lessons learnt from the Vietnam War. It saw first flight in 1974 and was first introduced into active service with the United States Air Force ( USAF ) in 1978. Since then, incremental upgrades to the F-16's radar, engines and avionics have transformed the Falcon from a day interceptor into an all-weather multi-role combat aircraft capable of anything from ground attack to SEAD/DEAD to air superiority missions. aerial refueling mission Mar 1975. In 1993 the Aerospace Division of General Dynamics was sold to Lockheed. 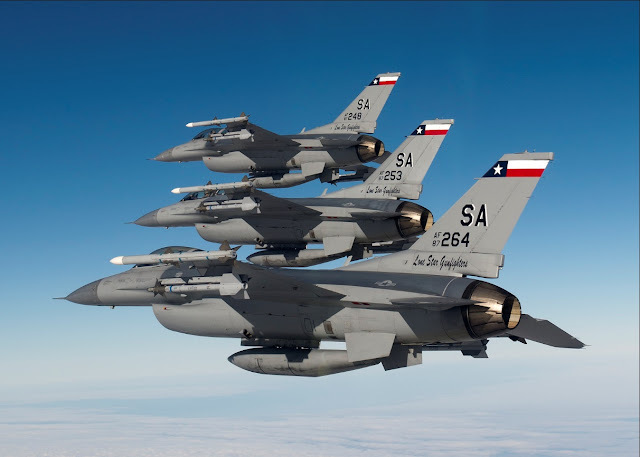 The F-16 is currently in active service in not just the USAF but also the Air National Guard (ANG), the Air Force Reserve Command, the USAF Thunderbirds aerial demonstration team and in the US Navy's Naval Strike And Air Warfare Center (NSAWC) as aggressor aircrafts. in a photo dated 28th Oct 2011. Texas is also known as the Lone Star State. Lockheed Martin Photo. In addition, the F-16 had been exported to 28 other foreign operators including Israel (362 aircrafts of various models and variants), Turkey (270), Egypt (220), the Netherlands (213), South Korea (180), Greece (170), Belgium (160), Taiwan (150), Morocco, the UAE, Oman, Iraq, Singapore, Indonesia, Thailand, Pakistan, Poland, Romania and a few others. Along the way, it had also spawned a Japanese variant, the Mitsubishi F-2, which looked like an oversized Falcon, not to mention being overpriced too! 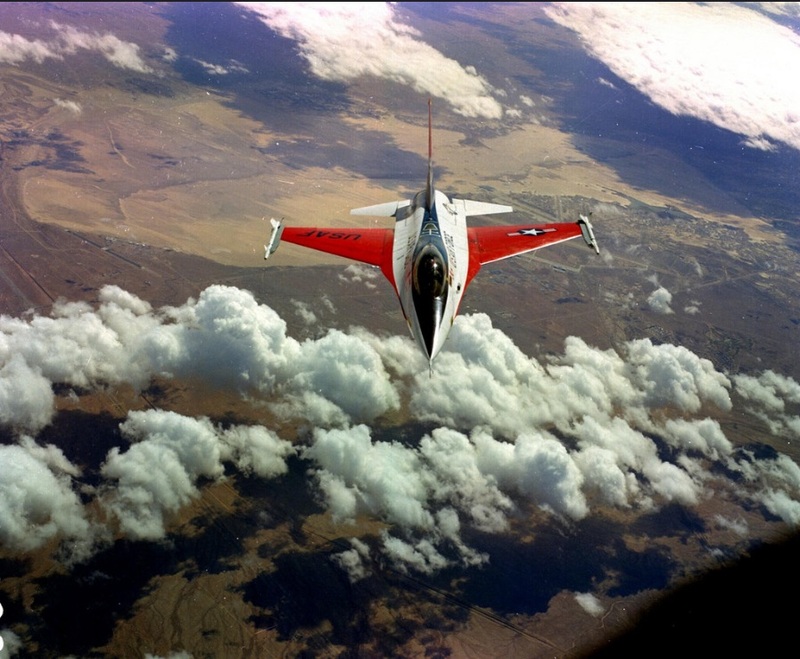 To date, a total of 4550 F-16s had been built and the production lines at Lockheed Martin are still open. There are sufficient orders to keep them busy till at least the year 2017. Every American military aircraft has an official name, but pilots and ground crew often have other ideas. The Lockheed Martin F-16 is officially known as the Fighting Falcon, but it has always been nicknamed the Viper, apparently by the folks at Hill Air Force Base, Utah, home to the very first operational F-16 unit of the USAF. The story goes that the F-16 does resemble a cobra when viewed from the end of the runway ( see picture below ), but the Cobra name had already been claimed by the Northrop YF-17, predecessor of the F/A-18 Hornet fighter, and so the Viper it was. The Viper nickname predates the official USAF given name of Fighting Falcon, which was the winning entry of the Name-the-Plane Contest organized by the Air Force in 1976. That name was submitted by TSgt. Joseph A. Kurdell of the 1st TFW, MacDill AFB, Florida. The official USAF naming ceremony however, only took place on 21st July 1980 at where else but Hill AFB! actually resemble a cobra rearing up and ready to strike. As the cobra nickname has already been taken, the viper name stuck. March 11, 2015, at Nellis Air Force Base, Nevada. Like most fighter jets, the F-16 comes in 2 primary variants, single-seat or twin-seat. Single-seat fighters are usually used for air superiority roles whereas the twin-seat fighters carry an additional weapon systems officer (WSO) aka wizzo which is advantageous in a ground attack situation. The earliest batches of the F-16 had the A suffix to indicate a single-seat version and a B suffix to denote a twin-seat version. Later batches carry the C suffix for single-seat and the D suffix for twin-seat. The latest batch have correspondingly the E and the F suffixes. Over the decades since its introduction, the F-16 had constantly evolved to enable it to take on new combat roles and deliver new weapon systems. The variants are further differentiated by their block number, bigger number indicating more advanced versions. For example the initial F-16A and F-16Bs evolved from Block 1 to 5, 10,15, 15OCU and 20. This was followed on by the F-16C and F-16Ds with block numbers ranging from 25, 30, 32, 40, 42, 50, 52 and 50+/52+ indicating advanced versions beyond Block 50 and 52. 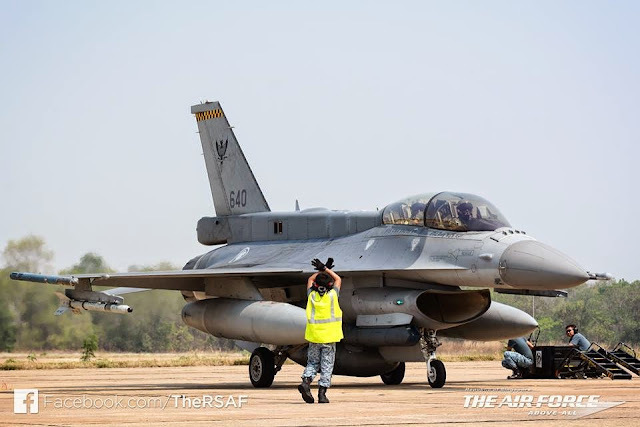 The very latest variants are the F-16E and F-16F Block 60.
in a photo dated 26th Oct 2011. ( the side bulge above the wing root ). Lockheed Martin Photo. As a result of the USAF's Alternate Fighter Engine Program in 1984, F-16C/Ds from Block 30 or later have a common engine bay and can be powered by either a Pratt and Whitney or a General Electric turbofan. Block numbers ending with a 0 denotes an F-16 with a General Electric engine while those ending with a 2 are fitted with a Pratt and Whitney engine. So a Block 50 and a Block 52 are identical except for the engines. That the F-16 is combat proven is without doubt. The Israeli Air Force (IAF) scored the first F-16 air-to-air combat victory over the Bekaa Valley in April 1981 against a Syrian Mi-8 Helicopter. Barely two months later 8 F-16s of the IAF with F-15s providing top cover, carried out a pre-emptive strike against Saddam Hussain's Osirak nuclear reactor which was then under construction southeast of Bagdad and severely damaged it. It would otherwise have the capability of producing weapons-grade plutonium once operational. The 1982 Lebanon War saw intense fighting between the IAF and the Syrian Air Force and ended with 44 air-to-air kills credited to the IAF F-16s. The Falcons also saw action in Operation Desert Storm, the Balkans, Operations Enduring Freedom, Iraqi Freedom, and in Libya during the Arab Spring period while the most recent " Turkey Shoot " incident over the skies of Syria involved the downing of a Russian Su-24M Fencer by Turkish F-16 fighters. Neither do they fade away. They get upgraded! No air-frame would last forever. Maintenance costs escalate as the engine ages. Electronic components become obsolete from the moment they are installed! There are now many older F-16As and Bs and earlier versions of the Cs and Ds serving in the USAF and many other countries that could be upgraded cost effectively to boost their combat performance and extend their service life. 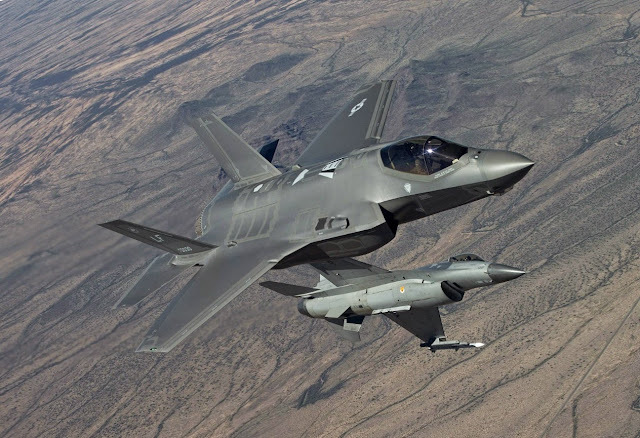 In the US particularly, the delays that beset the F-35 Joint Strike Fighter programme, the very fighter that was supposed to be the F-16 replacement, meant that the Air Force had to postpone the retirement of its F-16 fleet and instead allocate funds to upgrade them. 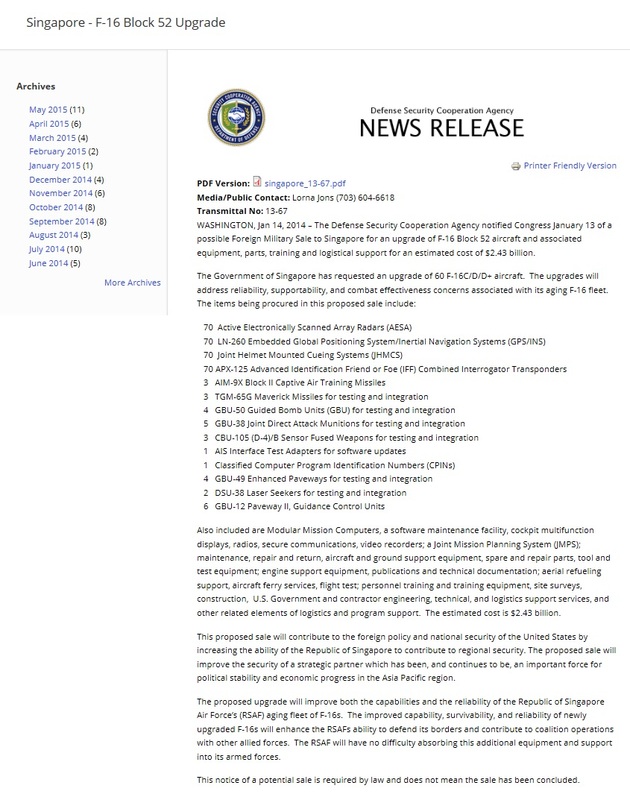 The number planned was 300 F-16s but the Sequestration is making that difficult. Elsewhere, some of the international F-16 customers that are embarking on their own upgrade programmes include South Korea, Taiwan and Singapore. the ageing F-16 ( background ). Both fighters from Luke AFB. Lockheed Martin Photo. Interestingly, in recent history, the only US jet fighter that had been produced in greater numbers that the F-16 was the Vietnam War era McDonnell Douglas F-4 Phantom II ( a grand total of 5195 aircrafts ). They have all been retired from active service in the US since 1996 and a small number are converted into QF-4 unmanned aerial target drones. As the number of useable F-4 air-frames dwindle at the Davis-Monthan AFB aircraft boneyard in Arizona, the USAF is beginning to convert old F-16s into QF-16 drones. So old fighters do sometimes have to die ... but for a good cause. at Tyndall Air Force Base, Fla., 19th Sep 2013.
only full-scale aerial target program. Back in 1985, Singapore placed an initial order of 8 F-16A/B Block 15OCU ( Operational Capability Upgrade ) aircrafts to replace the Republic of Singapore Air Force's (RSAF) ageing 1950 era Hawker Hunter fighters. This was done under the Peace Carvin I Foreign Military Sales programme. 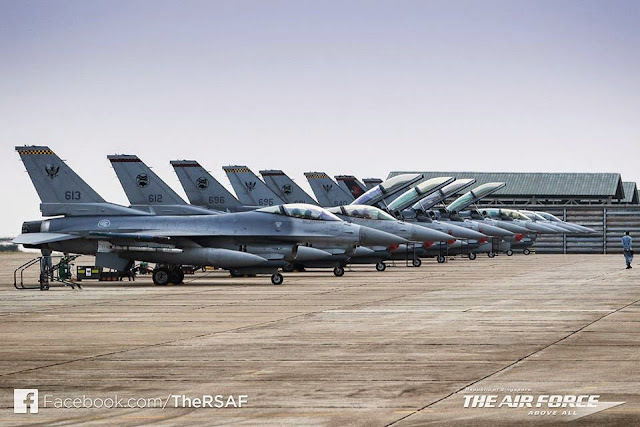 The aircrafts, four F-16A and four F-16B were delivered in 1988 to Luke Air Force Base, Arizona, where the RSAF conducts its F-16 pilot training with the USAF. The F-16 fighters were not brought back to Singapore until 1990. This unusual training arrangement was necessary because Singapore, being only slightly bigger than 700 km² in terms of land area, also has an extremely limited sovereign air space for pilot training. Luke AFB belongs to the Air Education and Training Command ( AETC ) and is responsible for training US and foreign F-16, F-15 and F-35 pilots. Occupying about 7700 km² of the Sonoran Desert, it is more than ten times the size of Singapore. Training at Luke AFB enabled the RSAF pilots to learn from and to be benchmarked against the best of the best F-16 operators and the opportunity to participate in large scale, multi-national air combat exercises like the annual Red Flag series at Nellis AFB, Nevada and Eielson AFB, Alaska. 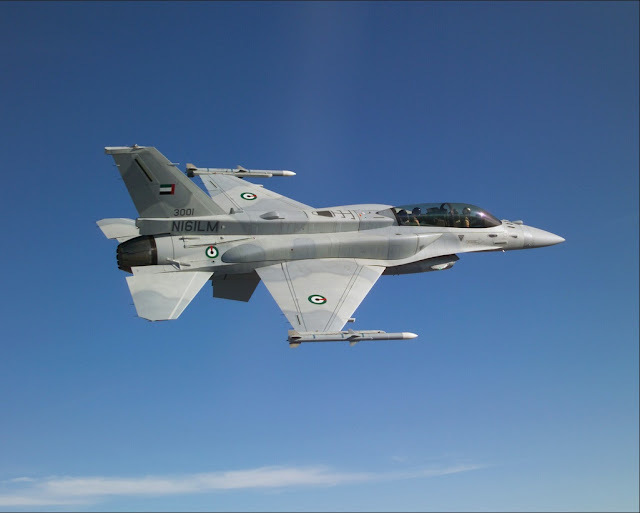 It had allowed the RSAF to achieve full operational capability with the single-seat F-16C and twin-seat F-16D within an accelerated time frame of 5 years when the new fighter type was first introduced into service. The current Peace Carvin II training agreement was started in 1993 and is now in its 22nd year. It had be extended a couple of times and will end in 2018, unless further extended! 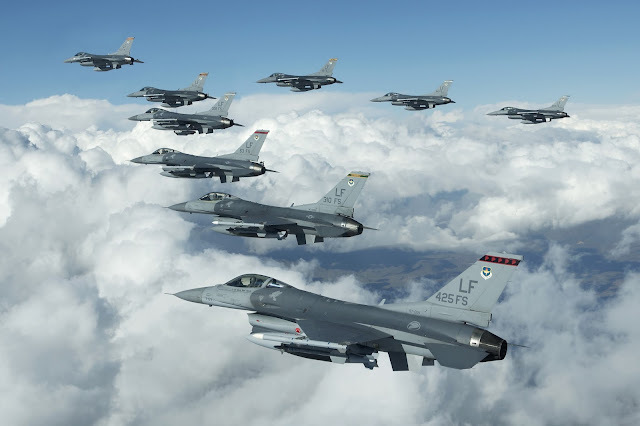 Other interesting facts about Luke AFB : the millionth F-16 Fighting Falcon flying training hour at Luke Air Force Base was reached on 13th March 2013. F-16s first touched down at Luke AFB on 6th Dec 1982. By March 2013, Luke has graduated 18,164 F-16 fighter pilots. Approximately 2,000 F-16 hours are flown a month by Luke pilots and students. is part of the Peace Carvin II deteachment. Over the next 15 years, Singapore were to order a total of another 62 advanced F-16C/D block 52/52+ aircrafts in four installments. These are the breakdown. * Direct from Lockheed Martin, not through Foreign Military Sales programme. Only those aircrafts bought under FMS have a Peace ~ designation. Shortly after being brought back to Singapore in 1990, two of RSAF's F-16A fighters were involved in a mid-air collision over the South China Sea. One of the F-16A was lost. The remaining 7 F-16A/B aircrafts were eventually transferred/donated to Thailand, a friendly neighbor who also operates a small fleet of F-16A/B on 18th Nov 2004. By getting rid of the early model F-16A/B, RSAF became an operator of all advanced block 52/52+ F-16. RSAF's F-16C and F-16D fighters. The RSAF's Block 52 and 52+ Falcons, though not of the latest versions, are capable machines nonetheless. They have been extensively modified with Israeli avionics and also upgrades to the onboard mission computer by the local defense company ST Aerospace and are therefore not your usual Block 52/52+. They are powered by the Pratt and Whitney F100 PW-229 afterburning turbofan with a relatively low bypass ratio of 36%. This jet engine has a weight of 3826 pounds and produces 17800 pounds of dry thrust and 29160 pounds of wet thrust ( with afterburner ). Hence it is said to have a thrust to weight ratio of 7.6 ( 29160/3826 ). First available in 1989, the PW-229 powers the USAF's F-15E Strike Eagle fleet ( twin-engine ) and most of the world's late model F-16C/D fleet ( single engine ). Note that the RSAF's F-15SG fighters have the higher-thrust General Electric F110-GE-129C in place of the Pratt and Whitney F100 engines that power most other F-15s and this will ensure that any potential F100 engine issues would not ground the entire high-end fighter fleet of the RSAF all at one go. This compact but powerful engine allows the F-16 to achieve a speed of Mach 1.2 at sea level and up to Mach 2.0 at altitude. It has a rate of climb of 50000ft/min and an effective combat radius of 550km carrying 4 x 1000lb bombs in a hi-lo-hi mission profile. Its ferry range is 4220km with drop tanks. As always, the fire control radar plays a crucial role in determining a fighter aircraft's combat capabilities. The Block 52 Falcons are equipped with the Northrop Grumman AN/APG-68(V)5 long range pulse-doppler radar while the Block 52+ are equipped with the AN/APG-68(V)9 radar. The (V) 9 version has a 33% increase in detection range compared to the older (V)5 version from which it evolved. It is also lighter, cooler and more reliable and less prone to failure and easier to maintain. Best of all, it features a high resolution synthetic aperture radar (SAR) which can generate highly detailed terrain maps which allows the pilot to locate and recognize tactical ground targets from considerable distances. Combined with GPS-guided weapons like the GBU-54 and the JDAM munitions which the RSAF have in its inventory, it allows the F-16 to perform precision strikes against ground targets in all weather conditions. Using commercial of the shelf components, the AN/APG(V)9 has a processor with 5 times the processing power of its predecessor and 10 times its memory and therefore would be more resistant to electromagnetic interference and countermeasures. Track-while-scan and single target track performance are all improved. 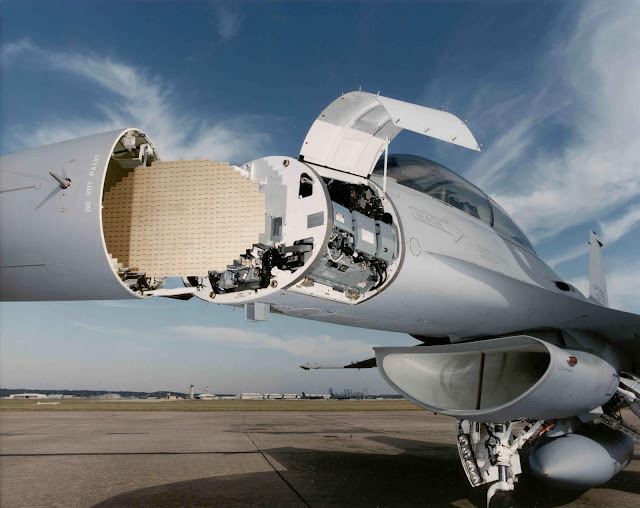 Replacing this already capable fire-control radar with an even more advanced Active Electronically Scanned Array (AESA) radar similar to the Northrop Grumman AN/APG-80 radar equipping the F-16E/F Block 60 Falcons would be a key part of any future Block 52/52+ upgrade. Other important features of the Block 52/52+ F-16 include compatibility with various legacy and advanced targeting add-on pods like the LANTIRN series and its successor the Sniper Series from Lockheed Martin. LANTIRN is the acronym for Low Altitude Navigation and Targeting Infrared for Night and consisted of two separate external pods, the AN/AAQ-13 Navigation Pod and the AN/AAQ-14 Targeting Pod. Such add on pods increases the combat effectiveness of the aircraft by enabling it to fly at low altitudes, in the night, under all weather conditions, to deliver precision strike against surface targets. The RSAF has in its inventory an undisclosed number of LANTIRN and Sniper pods for their fleet of F-16 and F-15. And many other items like secure communications equipment, mission computers, ground support equipment and tools, training support. See the DSCA News Release Transmittal 13-67 dated 14th Jan 2014 below for complete details. Notification to Congress is a necessary procedure for any Foreign Military Sales and is by no means a confirmation that the sale is secured. But it is mostly a formality as by this stage in-principle approval must have been given by the regulating authorities already. By 3Q2015, MINDEF further revealed that the upgrading works would commence from 2016 and would be conducted in phases, with the entire process taking 5 or 6 years. Then news emerged earlier this month that the US Department of Defense awarded the F-16 upgrading contract worth USD 914 million to Lockheed Martin Corporation ( LMC ). Before this it was a choice between BAE Systems ( BAE ) or LMC. As the original equipment manufacturer, LMC probably is the most qualified to upgrade the F-16 but BAE also has accumulated credible experience with this aircraft. The upgraded F-16, perhaps it would be called the F-16SG, with its yet to be publically revealed AESA radar selection, will have capabilities similar to LMC's very own upgrade offering- the F-16V. 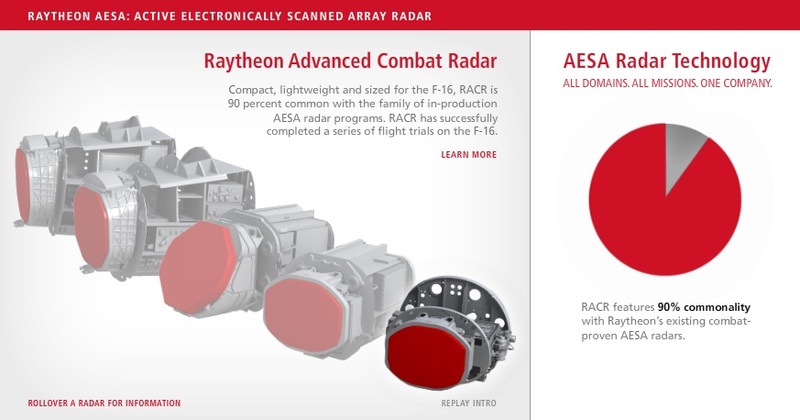 While LMC has emerged as the appointed prime contractor for RSAF's F-16 upgrade programme, the question of the AESA Radar type is still not made public. Currently there are 2 options and both have similar capabilities. 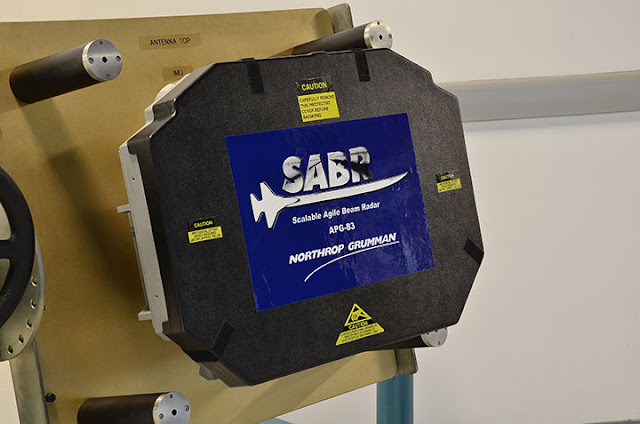 The Northrop Grumman Scalable Agile Beam Radar ( SABR ) designated AN/APG-83 is the preferred AESA radar offered by LMC for its F-16V and for the upgrade programs for the USAF and the Taiwanese Air Force. It is tipped to be selected by the RSAF as well. It is designed to be retrofitted into F-16s without the need for any structural, power or cooling modifications. Just how scalable is it? A variant of the SABR known as the SABR-Global Strike has been developed for the Rockwell B-1B Lancer supersonic bomber. 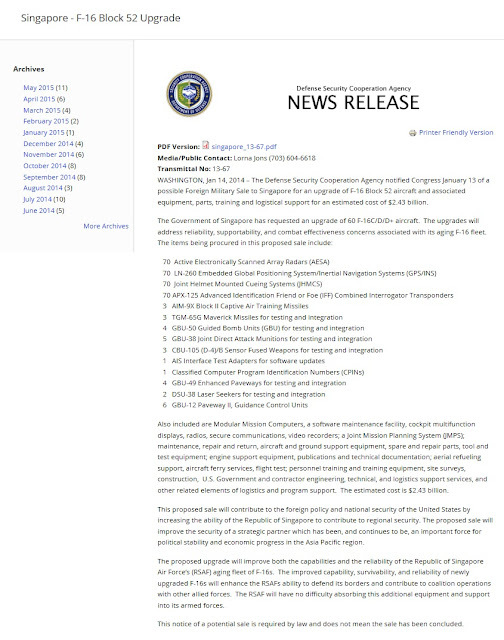 Apart from providing the F-16E/F Block 60 Desert Falcon's AN/APG-80 radar, Northrop Grumman Corporation ( NGC ) also manufactures the AN/APG-77 AESA radar for the F-22 Raptor and the AN/APG-81 for the F-35 Joint Strike Fighter and therefore would have had a good history of co-operation with LMC, the prime contractor / systems integrator. 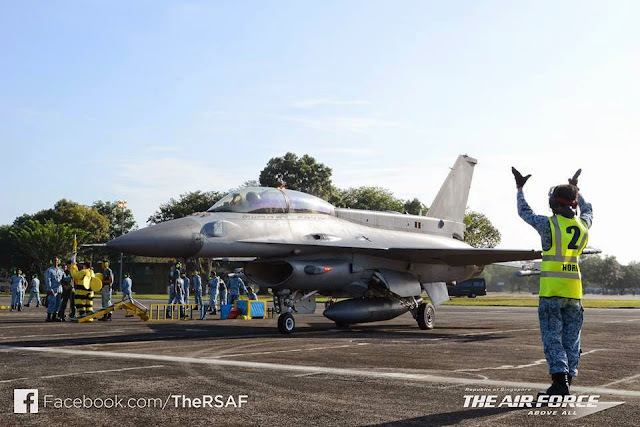 Selecting the SABR for RSAF's F-16 could mean a smoother and less risky integration. The other option is the Raytheon Advanced Combat Radar ( RACR ) touted to be a compact, light weight drop-in upgrade solution for the F-16. It claims 90% commonality with Raytheon's existing range of AESA radars like the APG-63v3 which are installed in RSAF's F-15SG Eagles. Choosing this radar for RSAF's F-16 could translate to cost savings from commonality between the F-15 and F-16 radars. 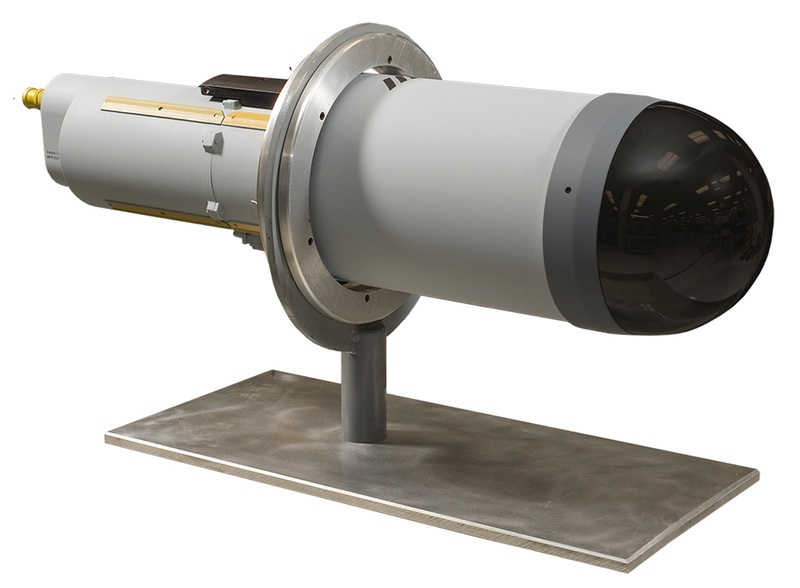 The RACR is the radar selected by the South Koreans for their F-16 upgrade program. APG-63v3 ( F-15SG ), APG-79 ( F/A-18E/F ) and RACR for F/A18 upgrade ). 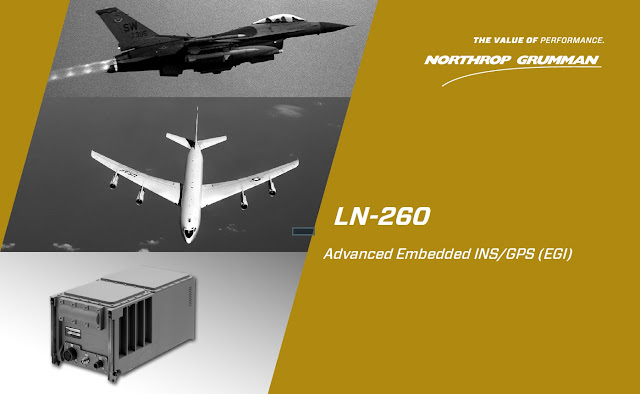 The LN-260 is Northrop Grumman's high performance, light weight and low cost INS/GPS that ultilises a fibre-optic gyroscope-based inertial navigation sensor assembly together with a Selective Availability Anti-Spoofing Module GPS. 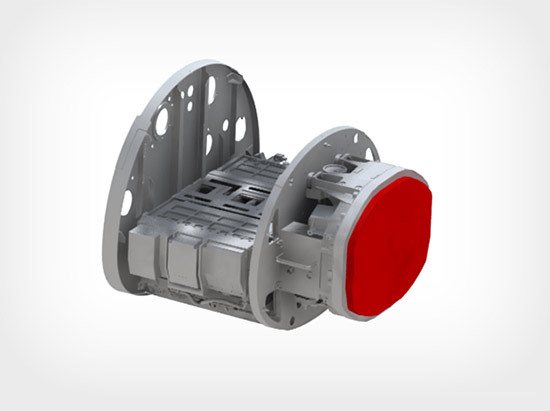 The non-dithered, low noise fibre-optic gyroscope technology eliminates self-induced artifacts like acceleration and velocity noise, resulting in superior navigation and Synthetic Aperture Radar stabilization performance, as well as the highest accuracy in target location. It weighs less than 11.79kg, according to NGC. NGC LN-260 product brochure image. 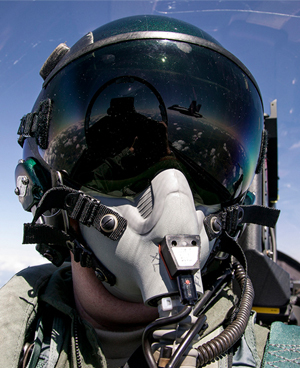 The JHMCS is a natural evolution of the Head-Up Display ( HUD ) of the 1970s. It is the fighter pilot's look and shoot targeting device, putting the HUD into the helmet. It combines a magnetic head tracker with a display projected onto the pilot's visor, giving the pilot a targeting device that can be use to aim sensors and weapons at whatever direction he is looking. It synchronises the aircraft's sensors with the pilot's head movements so that they automatically point where the pilot looks. More importantly, the flight and targeting information are displayed on the inside of the helmet visor so that the data is always available no matter where the pilot looks to. The JHMCS is modular and can be configured for day or night sensors. The latest generation JHMCS II and its equivalent even have integrated day and night modes. The JHMCS gives the wearer previously unimaginable situational awareness at a single glance and when combined with the latest generation AIM-9X and AIM9X2 sidewinder missiles with high off-boresight capability allows the pilot to engage an enemy fighter at more than 80 degrees away from his axis of movement with only a turn of his head! The JHMCS and the AIM-9X are made for each other and are collectively known as the High Off-Boresight Seeker ( HOBS ) system. The RSAF supposedly already has in its inventory the Elbit DASH III helmet mounted display and the Python 4 high off-boresight air-to-air missile so the JHMCS is not an entirely new capability. Anyway, the Soviets got that part figured out close to thirty years ago when they integrated a helmet mounted display with the R-73 ( AA-11 Archer ) on the MiG-29 Fulcrum towards the end of the Cold War. The US managed to field the JHMCS only by 2003. As radars become more powerful with greater detection range and with the proliferation of BVR air-to-air missiles, modern day air battles are increasing being fought from stand-off distances. So it is natural that one would also need to rapidly and accurately distinguish between friend and enemy at those astounding BVR distances. Upgrading to a more powerful IFF device with greater detection range and higher reliability is therefore a no brainer. The BAE Systems AN/APX-125 Advanced Identification Friend or Foe combined interrogator / transponder ( CIT ) system is adapted from the older AN/APX-113 and is specifically developed for the F-16. It enables the warfighter to rapidly differentiate between friendly and potentially hostile forces at distances way beyond visual range. 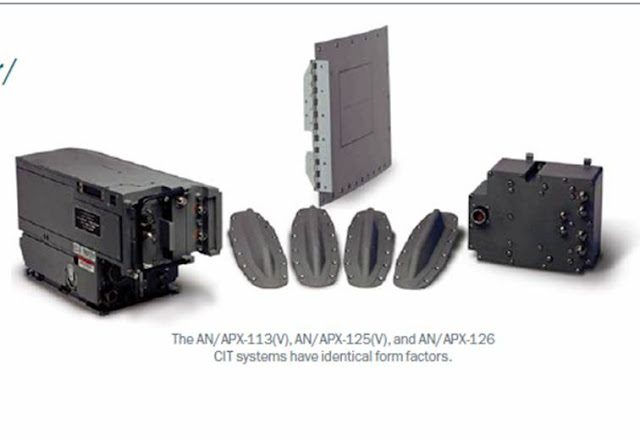 BAE's product brochure states that the APX-125 includes Mode S Elementary and Enhanced Surveillance ( ELS and EHS ) transponder capabilities and Mode 5 interrogator and transponder capabilities. The interrogator subsystem has a detection range beyond 100 nautical miles. Apart from threat identification, IFF has an important role in preventing accidental blue-on-blue incidences. IRST is the abbreviation for Infra-Red Search and Tract. They are essentially thermal detectors which could be useful in detecting the heat signature of otherwise stealthy aircraft that are difficult to detect by the usual X-Band radars. They are also good for detecting the thermal flare of missile launch from enemy fighters. 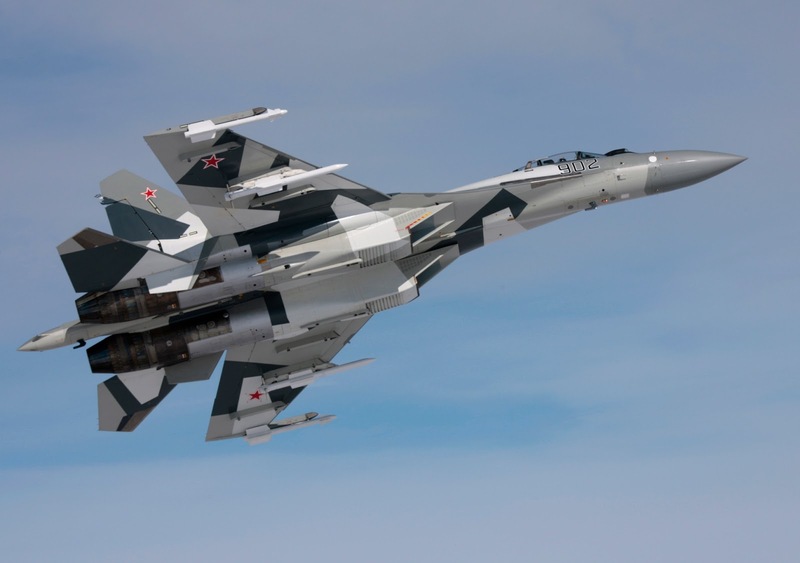 IRST devices have been staple for Russian and European fighters for the past two decades but their development and implementation on US combat aircrafts have been hampered for eons presumably due to the flawed perception that the American radar technology and missile technology was 2 or 3 generations ahead of that of the Soviet Union, therefore reducing the need for an additional detection device. The F-16 never had one to begin with. 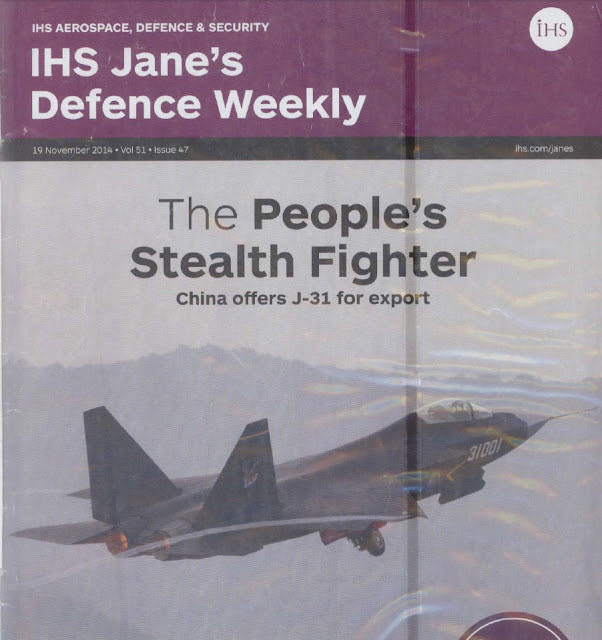 With the impending fielding of 5th generation very low observable ( VLO ) fighters from Russia and China and the eventuality that they could be exported to regional countries, it makes sense to future-proof an expensive investment by including an IRST device. Vol 51 Issue 47 : J-31 for export! To be fair the F-15SG Strike Eagles of the RSAF already have an advanced electro-optical sensor suite from Lockheed Martin that includes the Sniper / Pantera targeting pods, Tiger Eyes FLIR for targeting and navigation, and IRST for passive air-to-air detection. So it might not be that critical for the upgraded Falcons not to have it. Still it could be a nice capability to acquire. My guess is that Lockheed Martin's advanced generation IRST21 which had just this year been approved for low rate initial production for the F'A-18E/F Super Hornet might eventually be purchased separately and integrated into RSAF's upgraded F-16 which could take the form of an add-on external pod. Works is still in progress at LMC. of the F/A-18's centerline fuel tank or be placed in an add-on pod. LMC photo. If the F-16 is such a capable multi-role fighter, why bother to upgrade it at all? Well the most obvious reason to upgrade a platform is to enhance its capabilities even further. Weapons technology is always advancing and previously unavailable options might now be on the table : better sensors, more powerful munitions etc. When the first F-16C/D Block 52 were delivered to the RSAF in 1998, their potential adversaries in the region were the MiG-29N Fulcrum, F-5E Tiger II and F/A-18 Hornet from the Royal Malaysian Air Force ( RMAF ) for which the advance block 52 F-16 are more than a match. By 2007, RMAF added the Su-30MKM and the AA-12 Adder beyond visual range air-to-air missile to its ranks and that represents a tremendous enhancement in capability. Similarly, the Indonesian Air Force was operating a mix of early generation F-16A/B Block 15OCU and F-5E at the turn of the century. Now they still have the F-16A/B but will soon receive additional F-16C/D refurbished to Block 50/52 standard, they have also a fleet of Su-27 Flanker and Su-30MK2 and will be replacing the F-5E with ..... Su-35 Flanker-E aka Super Flanker with thrust vectoring and the works. So unless RSAF upgrades its F-16 fleet, they would soon be rendered obsolete by the Flankers, Advanced Flankers and soon Super Flankers of its immediate neighbours. You want to fight this? Sukhoi Su-35 with AA-11 and AA-12 AAM. Based on the total cost of USD 2.43 billion, the average cost of upgrading each F-16 will amount to US$40.5 million. This is significantly cheaper than buying newly build F-16Vs which cost about $60 million. Compare that to the F-35A which currently cost US$98 million without the engines ( the total cost of the F-35 is so prohibitively high that it is too vulgar to publish ), you would realize that replacing the F-16 with the F-35 like what the USAF intends to do is not economically feasible for most of America's allies. Will the RSAF's upgraded Falcons be designated the F-16V or will they be unique enough to form a sub-class by themselves, earning a separate F-16SG designation? 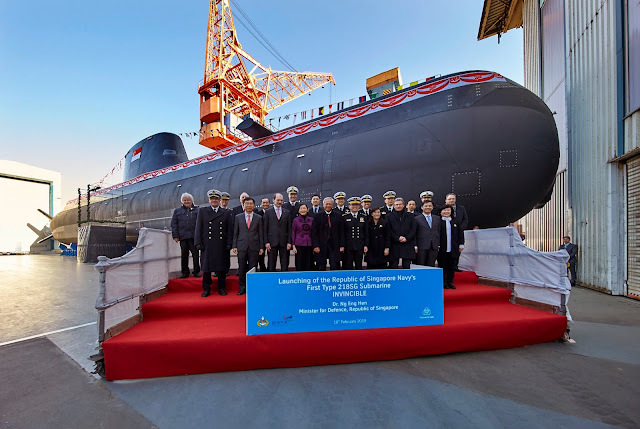 From past experiences, chances are high that the upgrade would include additional components developed by Singapore's DSO National Laboratories and other non-US aerospace companies. The upgraded fighters will have advanced fire control radars, advanced navigation, communications and IFF equipment, helmet mounted sights, and the ability to launch advanced precision munitions like laser JDAMs and enhanced Paveway II laser / GPS guided bombs. Upgrading the F-16s makes a lot of sense as it would postpone the need to acquire the next generation fighter, namely the F-35 JSF, for some years. The early adopters always end up paying more as unit price will drop with later tranches and volume production. The F-16 is an incredibly well designed and well built aircraft. 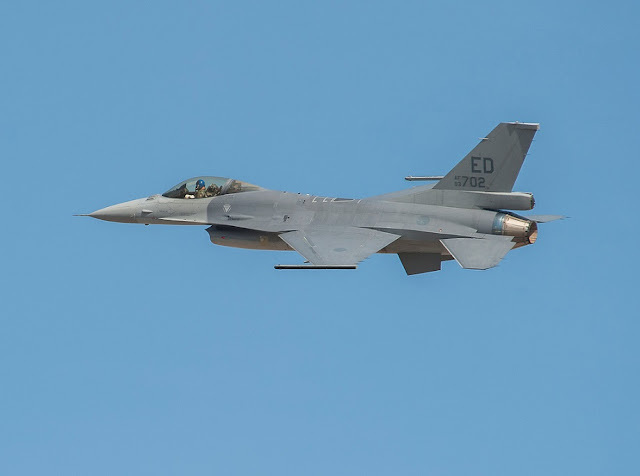 Although the F-16 Block 50 was originally rated for 8000 Equivalent Flight Hours ( EFH ) of service life, Lockheed Martin has recently completed 25000 hours of simulated flight time on a F-16C Block 50 airframe at its Full Scale Durability Test Facility in Fort Worth, Texas. The FSDT results will eventually be used to extend the service life of the F-16 to 12000 EFH. That's an additional 20 years of service life, assuming on average an annual flight time of 200 hours. So it might not be inconceivable to see the F-16 flying along with the F-15SG and probably the F-35B in 2035 during the SG70 celebrations, maybe even SG75, depending on the cost of the F-35. Time will tell. Update : The latest developments on the F-16 Block 70/72 and possible shifting of F-16 production to India here. Israeli Elisra SPS-3000 ECM suite ( self-protection jammer ). the Sniper Advanced Targeting Pod.